- High quality nylon material, is extremely durable. - Soft breathe freely padded decompression shoulder foam widening shoulder construction reduces burdening feeling. 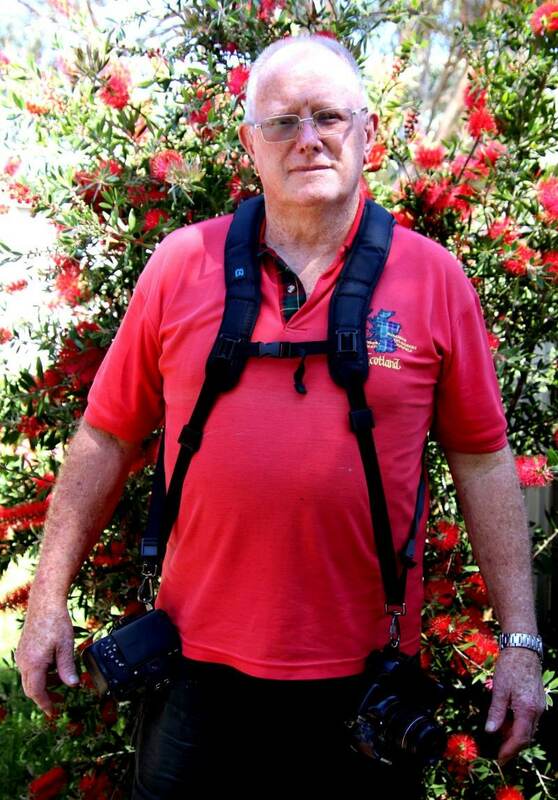 - Distributes overall weight of DSLR evenly across your shoulder. 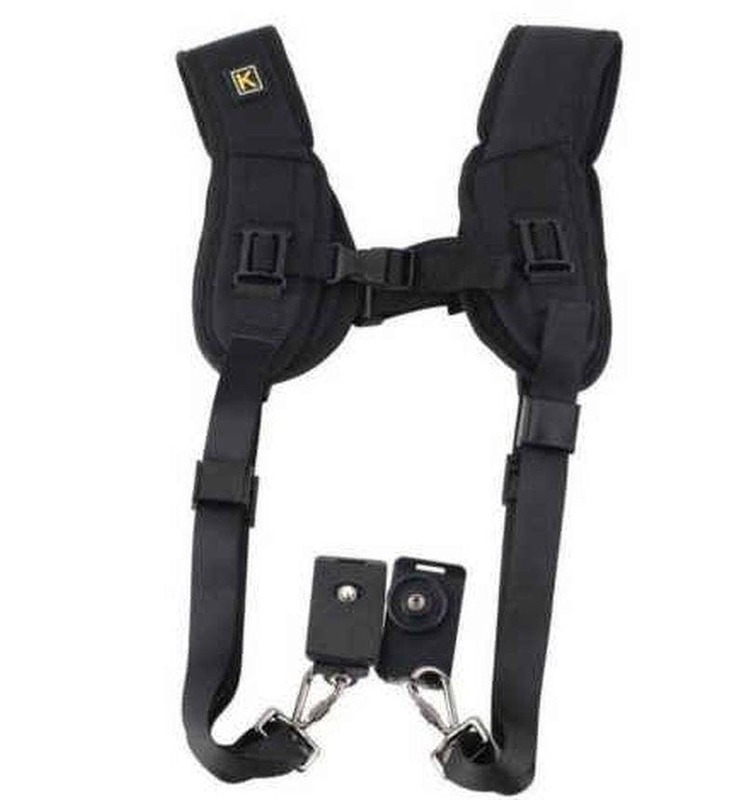 - Comes with 2 multi-purpose metal quick release plates which securely connect your camera and the strap. - Bumper and buckle on the strap prevents camera from swinging back. - With 1/4 inch standard screw, most of DSLR SLR cameras can be compatible. 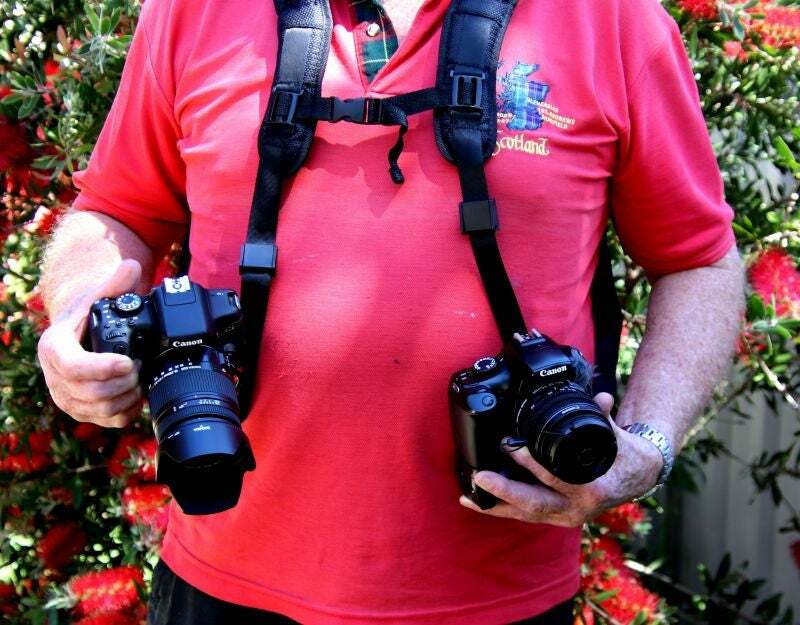 - Allow you to carry 2 cameras at the same time and switch between them rapidly. 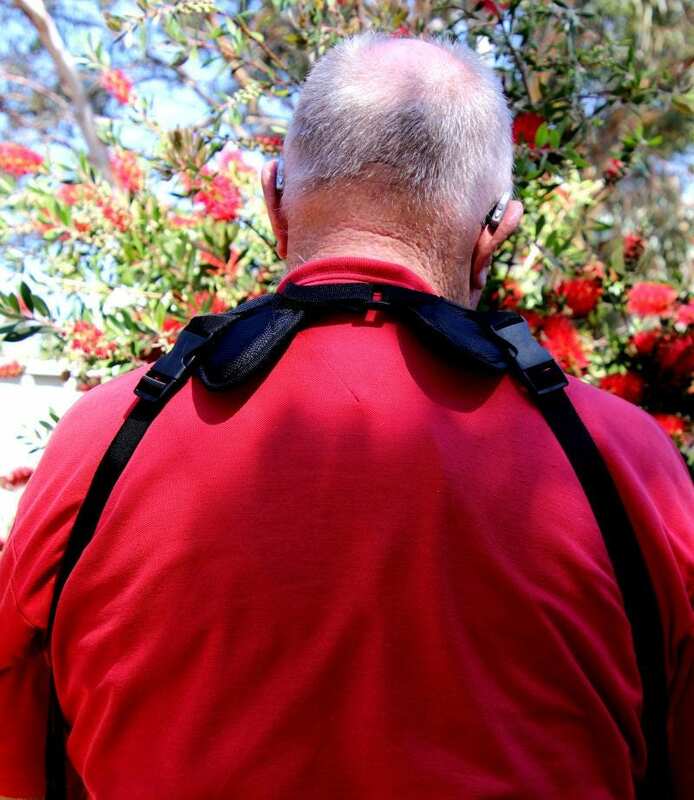 - Allow you to quickly reach for your camera and shoot while the shoulder pad stays in the same position. Please Note: Pictured cameras are not included. Custom made orders will not proceed until full payment has been made. In order to get exactly what you require I will need the brand and model of your camera or lens, or I will need measurements pertaining to a particular product and colour preference that you wish to be custom made. We do not accept returns on Sale Items or Customised Items. Refunds will not be issued under these circumstances. Shipping costs are not refundable and the Buyer is liable to pay for return Shipping. Please contact the Seller if there is a fault or damage to the item. Pictures will need to be supplied by the Buyer. How long will my package take to get to me? Shipping can be a problem to some countries, particularly if only economy postage is requested. Please allow 6 to 8 weeks for delivery. Sometimes delays can occur in Customs where it is out of our control to expedite or track parcels. We are not responsible for these delays or for any extra Custom's charges. Allow up to 90 days before issuing a claim on Tracked Items. We do not accept responsibility for delays in delivery or lost or stolen goods. We do not accept responsibility if we have been given the incorrect delivery address. The buyer needs to confirm the correct delivery address prior to finalising the order. Do you have stock items to send immediately? Yes, I do have stock of some products but mostly they are made to order because of the variations in photographic equipment and the customer's preferences. 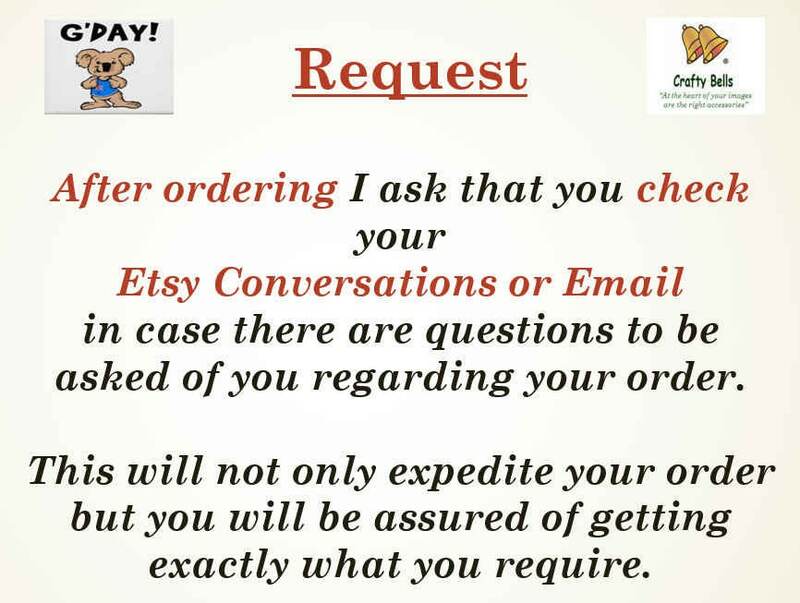 For custom made products the communication between you (the buyer) and me (the seller) will need to remain open so that any questions can be asked and information about progress of the order can be given to you. How long does a product take to make and send? Depending on the size of the order, plus how many orders are before yours, I can have your single or double product order in the post within 2 days. Multiple ordered items will take a little longer but I strive to get them on their way to you very quickly. I will keep communications open and let you know if there is any delay. Most of the products are made with materials that are easy to care for. Being products that are used outdoors and in all types of weather, the outside fabric can be sprayed with a water repellent to bead off water and make cleaning the outer materials with a damp cloth very easy. We do not use the water repellent spray prior to packaging as there is a toxic ordour from the spray, plus we are unaware of your allergic reactions to using these sprays. Always spray water repellent outdoors and let the product air and dry before using. We will gladly gift wrap but remember the more packaging we use the more the postage will cost, plus we cannot guarantee the condition of the wrapping when it reaches its destination, particularly with overseas orders. We keep our packaging to a minimum in order to keep down the postage costs. Every product is individually sealed in a clear bag. AMAZING! This arrived so quickly too. Thanks so much.